Part of my daily routine is to sift through all of the new arrivals for major fashion websites. I had been noticing a rise in “mechanic jumpsuity” looking items and I was thinking to myself… I like this trend. I always loved wearing dickies pants to my roller hockey practices. They were comfortable and practical; and there was definitely a look to it – a tight tank top with baggy dickies pants and skates. It looked cool. 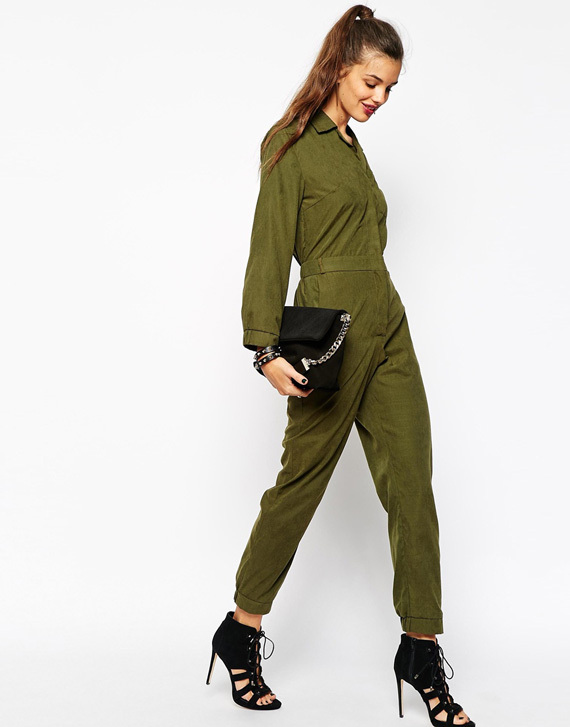 Anyhoo, I was glad to stumble upon ASOS’ newsletter announcing the Utility trend (that definitely sounds more chic that mechanic jumpsuity). 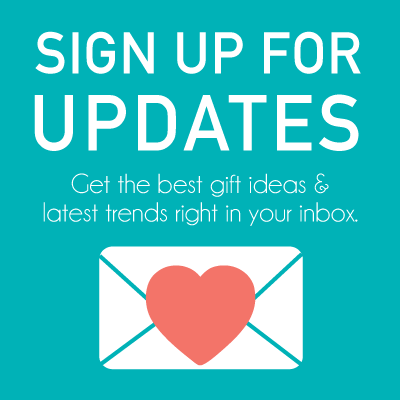 Below is a round up of my top picks from the latest Utility trend. Stretch cotton denim with V-neckline, zip through front and side zip pockets. This jumper has a skinny fit – cut closely to the body. Made from a cotton blend denim with zip front fastening and biker panels. Stretch added for comfort and fit. Made from 100% pure cotton with stand-up collar, plunge V-neckline, zip fastening, belted waist, and side pockets. Crisp, silky feel woven fabric with point collar, notched lapel detailing, concealed button placket to front, patch pocket to chest and elastic waist to reverse. 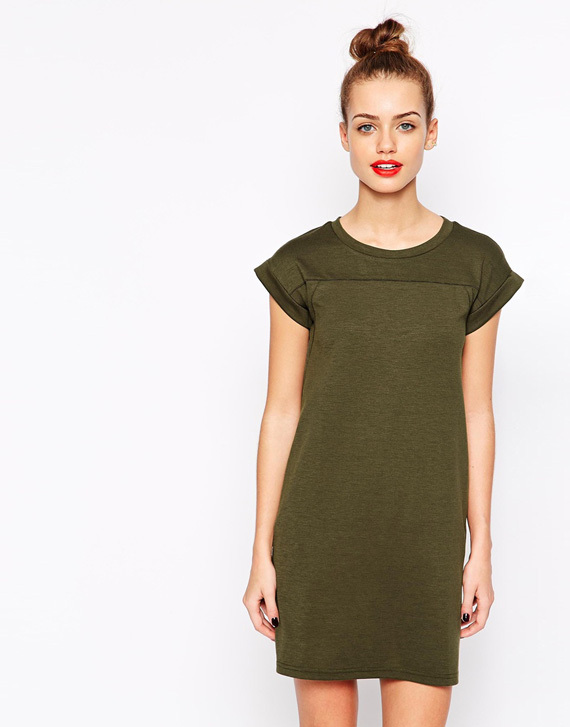 Soft-touch jersey dress with round neckline and rolled sleeves. Loop-back sweat fabric jacket with high V-neckline, raglan shoulders, zip front closure, and ribbed trims. 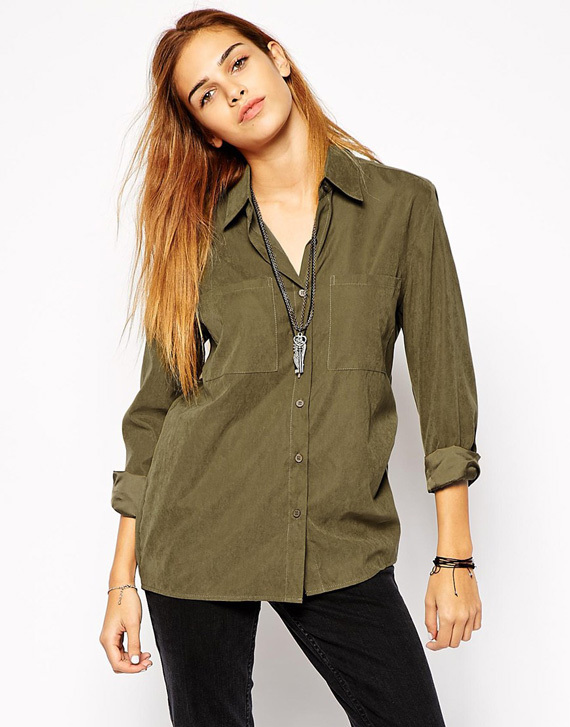 Soft touch fabric shirt with point collar, button placket through front, chest patch pockets, and button cuffs.